Donkey smugglers are taking advantage of cross-border criminal networks to meet the growing demand for hides. Oscar Nkala investigates. In the crime-ridden borderlands where Zimbabwe and South Africa meet, donkeys have been sought-after by smuggling syndicates since late 2015 because they are silent and can transport heavy cargo across the rough terrain. Recently, however, the beasts of burden have themselves become targets of smugglers and traders who sell them to abattoirs in South Africa, which export their hides and meat to China. Edmore Mathibela leads a cross-border smuggling syndicate that operates in the Madimbo Corridor, on the South African side of the border. “For the right money, we smuggle cigarettes, bales of clothing, minerals and stolen cars parts. We also run live cargo like human border jumpers and stolen livestock, which can be cattle, goats or donkeys,” he said. Mathibela said a culture of bribery and corruption has transformed the border area into a melting pot of strange bed fellows and cross-purposes as criminals and security agents collaborate to further criminality. “Here, soldiers, police, smugglers and muggers work together,” he said. “Some officers are syndicate members, shareholders, beneficiaries or informers, updating information on border patrols for a fee or a share of the loot. “The soldiers and police feature in all crime syndicates – thieves, robbers and muggers, contraband smugglers, drug dealers, vehicle and stock-theft rings. No syndicate can exist without them,” he said. The smugglers combine bribery and evasion to run cigarettes, alcohol, gold, diamonds, people, goats, cattle and donkeys past the border security patrols. 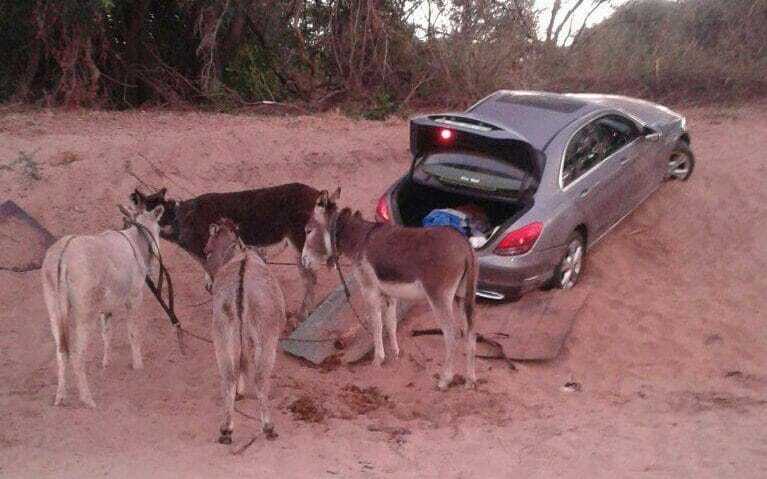 Car theft syndicates use stolen or hired donkeys to pull top-range luxury cars stolen from South Africa across the Limpopo river into Zimbabwe. In Tshipise, Oxpeckers met Stanford Mukwena, a career smuggler who makes a living from guiding illegal immigrants into South Africa. He also uses his eight donkeys to smuggle goods such as dagga from Mozambique and cartons of Zimbabwean cigarettes into South Africa. “Car theft syndicates pay up to US$100 for each donkey used to pull one stolen car into Zimbabwe. Due to this, thefts have spiked on either side of the border as syndicates compete to steal and keep donkeys for use in vehicle-smuggling operations. “Donkeys also work daily on the smuggling routes ferrying bulky commodities like opaque beer and cigarettes through rough frontier territory, which can only be patrolled from the air,” Mukwena said. Tambudzani Mohadi, senator for the Beitbridge constituency in Zimbabwe, said donkey theft is a huge problem in her constituency, especially in communities along the border with South Africa. “Most of the donkeys are taken to South Africa. I don’t know what happens to them there, but South African farmers have been accused of buying stolen Zimbabwean donkeys to feed lions. Sadly, no action is being taken to stop donkey theft and several other cross-border crimes affecting our people,” Mohadi said. In October last year, four men were arrested after 41 donkeys were found crammed into an overloaded truck travelling along the N1 highway in Polokwane, the capital of South Africa’s Limpopo province. Inspectors from the National Society for the Prevention of Cruelty to Animals (NSPCA) said the truck was heading to an abattoir in Randfontein, on Gauteng’s West Rand. Emergency euthanasia was undertaken to end the suffering of some of the donkeys which were crushed and dying in the truck. The name of the abattoir in Randfontein abattoir was not revealed by the NSPCA report in the Polokwane cruelty case. On October 24 2016, Sougson Manasseh, Madhihwa Mjasha, Target Murima and Amon Chirwa pleaded guilty to animal cruelty and were sentenced to eight months each in prison. They were also sentenced to two months in jail each for illegal immigration. Although their nationalities were not given, Chirwa and Murima are common surnames in northern Zimbabwe. According to the National Prosecuting Authority (NPA), it is legal to export donkey meat and products provided this is done by a registered abattoir and the donkey was bought from the legitimate owner. There are three registered equine abattoirs in South Africa, and an unknown number of unregistered bush butcheries hoping to profit from the growing demand in China for donkey hides. These are stewed to produce gelatin, the main ingredient in ejiao, a traditional Chinese medicine used to manage conditions ranging from insomnia to ageing. 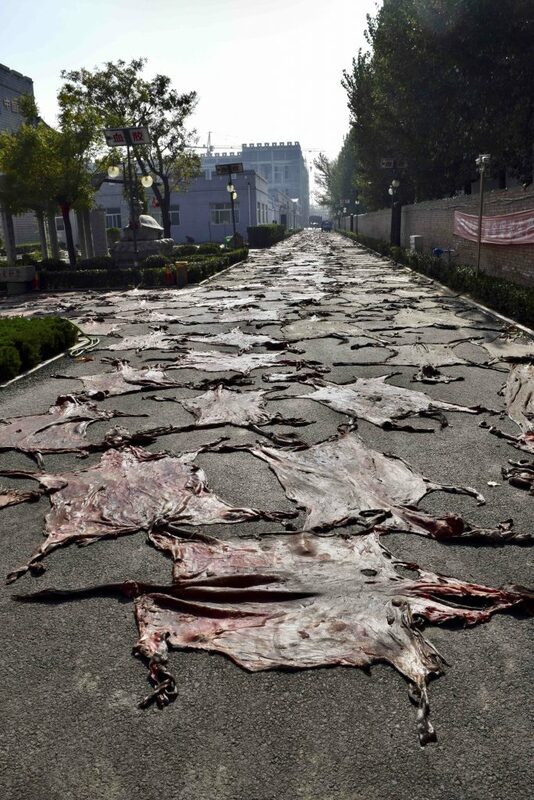 South Africa has a legal annual export quota of 10,500 donkey hides to Hong Kong and China. Investigations by the NPA indicate one of the registered abattoirs sold 5,000 more hides than the combined annual export quota of all three licensed abattoirs last year. The figure came to light after the Asset Forfeiture Unit of the NPA investigated an attempt to smuggle 2,921 donkey hides to China by Anatic Trading, a company registered as operating from Rollo Street, China Town in Cyrildene, Johannesburg. Investigators obtained invoices which showed that Anatic Trading shipped a total of 12,776 hides to Hong Kong between July and December 2016. The smuggled hides were seized in January 2017, raising the total number exported by the company in seven months to 15,697. The investigation is yet to establish where the donkeys were sourced, whether they were bought legally and where they were slaughtered. The 2,921 smuggled hides and the container in which they were shipped remain in NPA custody. Dr Keith Dutlow, director of the Animal and Wildlife Area Research and Rehabilitation Trust in Zimbabwe, said donkeys were being bought at low prices or stolen from the Beitbridge region and smuggled to South Africa to feed lions, while the hides were sold to China. The trade could quickly decimate Zimbabwe’s 175,000-strong donkey herd, Dutlow said in an interview with the Zimbabwe Border Guide in April 2017. “[In Zimbabwe] there are no programmes in place to promote donkey production, yet in this ejiao trade, donkeys are, and will continue to be slaughtered in large numbers. People may be lured to get a few dollars by selling their donkeys, but it will never be sustainable. People should not be short-changed into selling their donkeys at the expense of their own livelihoods,” he said. Until recently, one thing that set Zimbabwe apart from neighbours South Africa, Botswana and Namibia is that it had not contemplated the legal of slaughter of donkeys to meet the Asian demand for meat and hides. In fact, Zimbabwe is the only Southern African country where the Prevention of Cruelty to Animals Act prescribes a maximum fine of US$200 (up from US$20 in April) for all categories of animal cruelty. The Act defines cruelty as beating, kicking, overloading, torture, abandoning, causing unnecessary suffering, poisoning, terrifying, cruelly tying-up, cruelly transporting and using animals for fighting. However, on October 1 2017 the government-owned weekly paper Sunday News reported that Battlefront Investments, a Bulawayo-based company, was on the verge of completing the construction of a US$150,000 “state-of-the-art” donkey abattoir. Company MD Gareth Lumsden said the abattoir would slaughter 70 donkeys a day, or up to 2,170 donkeys monthly. The company had already started buying slaughter donkeys and planned to invite a “senior” government official to open the abattoir. “Obviously, before we started, we had to consult with various ministries and we got the blessings of various ministers. We have already started buying donkeys from as far as Gokwe, Plumtree, Gwanda and Gweru. “Our target is the Asian market, [and] I have even employed some Chinese people in particular. We have already secured markets for the products,” Lumsden told Sunday News. Prior to November 2 2016, when two Chinese people and a Zimbabwean were arrested for the illegal slaughter and possession of 25 donkey hides, Zimbabwe had no experience of equine abattoirs, legal or illegal. 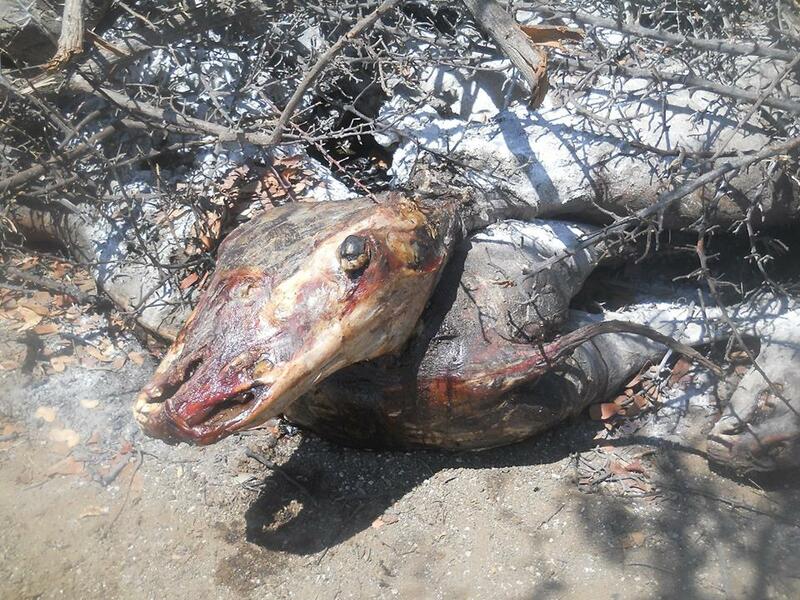 The Chinese pair, identified only as Liu and Chen, operated an illegal bush abattoir in the Tongwe communal lands, about 80km south-east of Beitbridge. Sources in Beitbridge told Oxpeckers police learnt about the abattoir when Liu approached the Department of Veterinary Services to ask for a permit for the transportation of 25 donkey carcasses from Tongwe to a lion farm in Mwenezi district. 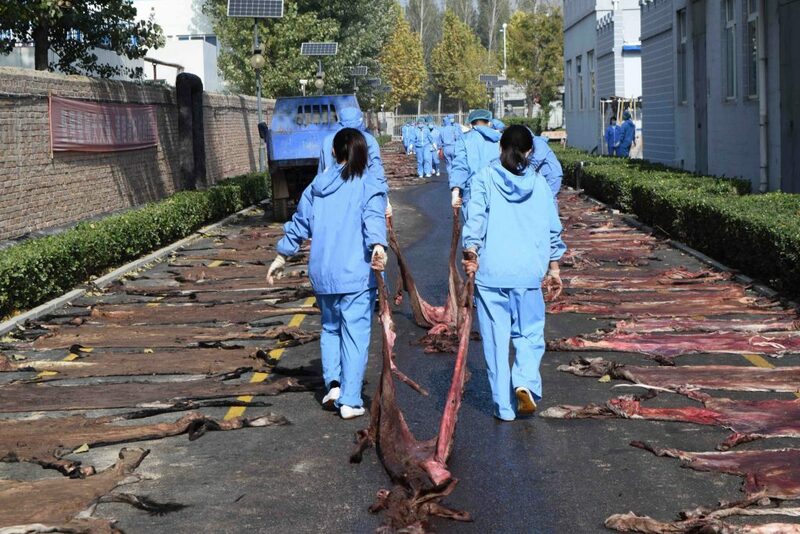 Liu explained that he had bought donkeys locally and slaughtered them for the purpose of exporting the hides to China. Since Zimbabweans do not eat donkey meat, he decided to donate the carcasses to the lion farm. “The vets were shocked by the request, which sounded illegal since there are no donkey abattoirs in the country. Secondly, Zimbabwe had no agreement for trading in donkey products with any country, including China,” said a police source who requested anonymity as they are not permitted to speak to the media. A combined team of police and veterinary inspectors raided Liu’s bush abattoir and recovered 25 donkey carcasses and 25 wet hides. More than five emaciated donkeys were found penned up in bomas awaiting slaughter. “The donkeys were confined for at least a week before slaughter, fed on a diet of dry mopane leaves and totally deprived of water. One skinner said water deprivation helps dehydrate the hide and increases its gelatin concentration. “Dehydration also makes it easy for the skinners to separate the hide from the body post-slaughter. The 25 slaughtered were the first batch out of hundreds Liu had on order from around Tongwe,” said the officer. The hides were used as exhibits in the first court appearance of the suspects in mid-November, but the police investigation was incomplete and vague on which sections of the Prevention of Animal Cruelty Act were allegedly violated. The investigation also suffered from a lack of complainants as local leaders testified that the villagers had willingly and legally sold their donkeys to Liu, for an average price of $25 (R330) each. Veterinarians for Animal Welfare in Zimbabwe said the slaughter of the donkeys was “brutal and inhumane”. “They were slaughtered for their hides – an order of 1,000 had been placed with the local community – to be exported to China. Cases have been reported in South Africa and Botswana, and it was only a matter of time before it happened here. Seven other donkeys were left confined in a pen with no provision for food or water – for which charges have also been laid,” the organisation said. The suspects were released from custody as police needed more time to investigate. Their bail conditions stipulated that they were to reside at their given residential addresses. In April 2017, the probe stalled when police discovered that the suspects had disappeared. “First, when the police sought out the man who had led the donkey slaughter in Tongwe in the hope that he knew Liu better, he fled to South Africa. “When police went to the Harare address of Liu and Chen, it turned out to be a Mandarin restaurant and the two were only known as regular customers there. They also drew a blank with the Chitungwiza address given by Benjamin because its non-existent,” said the source. The investigation finally collapsed in July when the only officer assigned to it developed mental health problems. He was discharged from service on medical grounds. In Tongwe, Oxpeckers met villagers who recalled the “good days” 10 months ago when quick cash could be made by selling donkeys to a heavily built Chinese man who settled in the area from Harare. Known as “Bigman” to locals and “Liu” to the Zimbabwe police, he quickly transformed himself into a donkey trade baron in Tongwe. “Starting late in October 2016 Bigman bought many old and sick donkeys, saying they would be slaughtered to feed lions. But by November he was slaughtering regardless of age and health status. He was openly preserving the hides for sale. “Priced from US$25 (R330) upwards, donkeys became the local gold as people opted to be the runners, drivers, price-fixers and middlemen of the trade,” said Tongwe resident Canaan Mbedzi. 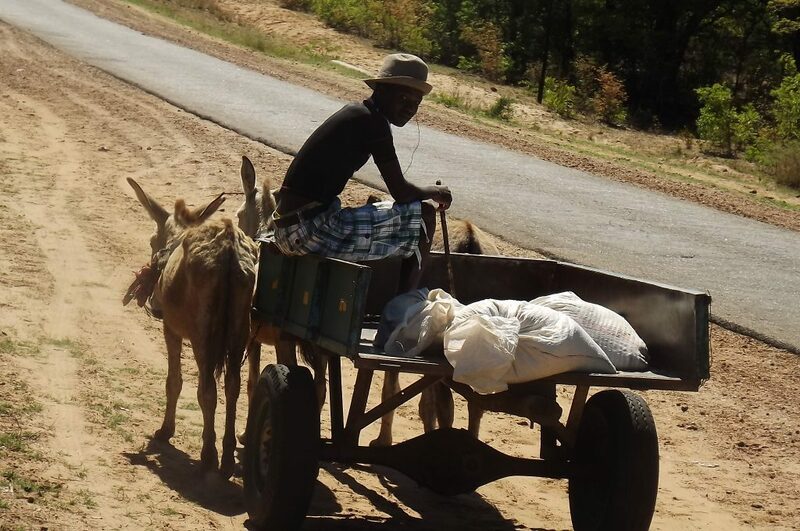 Mbedzi is one of the few locals who never sold donkeys because they depend on them for rural draught power and transportation needs throughout the year. Tongwe villager Kenny Modjadji (not his real name) believes that villagers were somehow coerced to sell by traditional leaders who believed Liu was licensed to run trial slaughters ahead of opening Zimbabwe’s first-ever donkey abattoir in Tongwe. “Bigman operated the abattoir with permission and help from the local political (Zanu PF) and traditional leadership. Sales dates and venues were announced in community meetings and traditional leaders there encouraged people to sell. “That way, Bigman had hundreds of donkeys awaiting collection from the villages to the several makeshift slaughter points he ran in Tongwe when his project collapsed,” Modjadji said. He suspects that just like Benjamin, who earned a minimum of US$10 in commission from one donkey sale, traditional leaders of Tongwe may have been paid for animals slaughtered around the area. Oxpeckers attempted to trace Liu through the local man who led his slaughter team, but he has not been home since March. The Chinese embassy in Harare said without specific personal identity details and passport numbers, “Liu” could not be positively identified because his is a common first, second and third name for millions of males in China, Hong Kong and Taiwan. Contacted for comment, Zimbabwe Republic Police national spokesperson Inspector Charity Charamba said she had not received any reports of donkey thefts and slaughter from Beitbridge in the past 12 months. 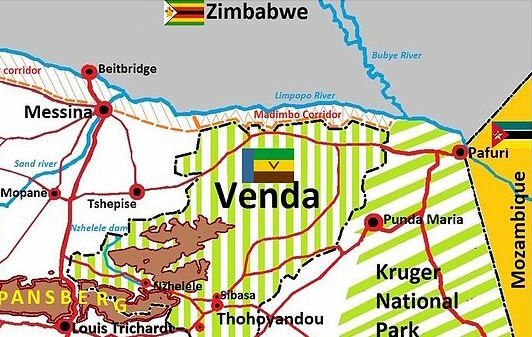 She referred inquiries to Matabeleland South public relations officer Assistant Inspector Philisani Ndebele, but efforts to contact Inspector Ndebele were unsuccessful. All Credits go to Oxpeckers, environmental journalists. Follow them for very interesting environmental cases.